Will the Recent Reforms Make It? Sickness and disability is a key economic policy concern for many OECD countries. Medical conditions, or problems labelled as such by societies and policy systems, are proving an increasing obstacle to raising labour force participation and keeping public expenditure under control. More and more people of working age rely on sickness and disability benefits as their main source of income, and the employment rates of those reporting disabling conditions are low. 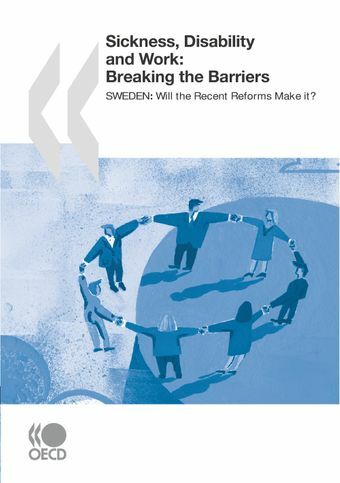 This report is an assessment of the Swedish reforms, which aim to lower inactivity and increase participation, against the background of recent trends and policy responses in other OECD countries. It looks at what Sweden is currently doing and what more it could do to transform its sickness and disability schemes from passive benefits to active support systems that promote work. Access Excel version of the figures of the report.